The University of New Mexico Black Alumni Chapter is honoring the recipients of its 2017 Living Legends and Trailblazer awards in a ceremony on Friday, Sept. 29 in the Centennial Engineering Auditorium located on UNM’s main campus. This year’s recipients of the Living Legends Award are C. Danny Spriggs (’74 BUS) and Van Tate (’88 BA). The Trailblazer Award will be presented to Hakim Bellamy (’14 MA) and Rev. Donald Walton (’73 BSPE). 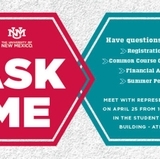 Check-in is at 5 p.m. and the ceremony begins at 5:30 p.m. To RSVP, visit the Alumni website or call 505-277-5808. UNM Homecoming 2017 Living la Vida Lobo activities extend from Monday, Sept. 25 to Saturday, Sept. 30. With more than 50 events on the calendar during Homecoming Week 2017 there will be an event, lecture series, reunion, open house or tailgate opportunity to fit everyone’s interests. A full schedule of events can be found by visiting the Alumni Homecoming 2017 website.